A Photofacial in Rancho Cucamonga is one of our services at True Beauty Aesthetics, is a non-invasive skin treatment in which intense pulse light is used to penetrate deep into the skin to target pigmentation. 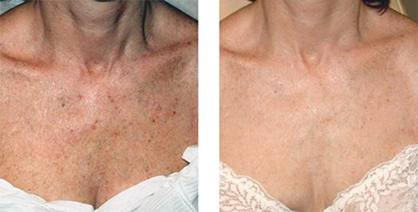 This photo-rejuvenation procedure than causes collagen and blood vessels to constrict reducing redness and aged lines. It is primarily used to treat brown spots, boosting collagen, and diminishing broken capillaries. A photofacial is a good choice if you have a number of different goals: plumper, younger-looking skin, faded brown spots, fewer broken capillaries and less overall redness. There is little to no down time with this procedure (1-3 days) the pigmented spots will tend to darken at first, than within a few days skin minimally flakes and spots will slowly lighten. It is typically recommended to do 6 treatments, as it usually takes a few sessions to lighten an area. The procedure takes 30 minutes in office and after applying SPF your ready to go. Photofacial is for the treatment of sun damaged skin and small broken capillaries. 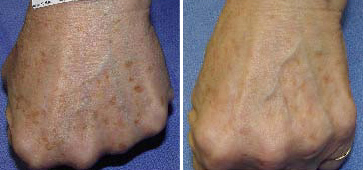 It is a fast and effective simple light based procedure to lighten pigmentation caused by sun exposure and small facial veins from various causes. Photofacial can be used on the face, chest, arms, and hands. True Beauty Aesthetics is your best choice for photofacial in Rancho Cucamonga, Fontana and Upland.